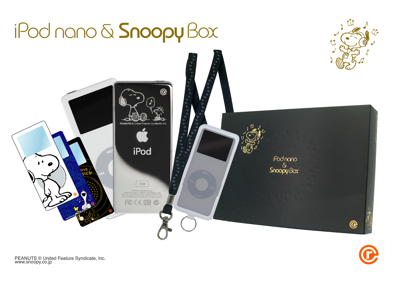 What you get is Snoopy engraved on the backplate and various pieces of cheap tat, including a neckband, case and three “specially designed” stickers that peel off without leaving a nasty sticky residue. The kits are on sale here for ¥33,600. As an aside, we were planning to buy a few nanos as Christmas gifts for friends and family, but this is going too far into “cutesy” territory, surely? Is the nano becoming more for kids than for adults? We aren’t saying that’s a bad thing, but what do you guys reckon? A quick poll shows that here in the DWT office, there isn’t a single person who wouldn’t rather splash such a wad of cash on a DAP that is slightly more, well, capable, and that comes without cartoon characters all over.